On International Women's Day, Nasser reflects on the forgotten war in Yemen. Independent Yemeni freelance journalist and Human Rights blogger. 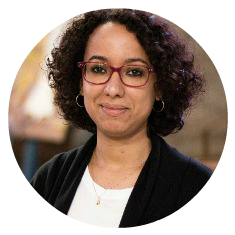 Afrah Nasser worked as a reporter at Yemen Observer newspaper in Yemen (2008-2011) and started blogging since Yemen’s 2011 uprising focusing on politics and human rights issues. Her blog was featured as one of the 10 must-read blogs from the Middle East by CNN and one of the top Middle East blogs by Al-Monitor. Her writings were featured on CNN, Al Jazeera English, The National, Middle East Eye, New Arab and other publications. She has also worked with Swedish Radio and several Swedish organizations. Nasser was featured in BBC’s '100 women who changed the world' media coverage” in 2013, she is the recipient of Dawit Issak prize for 2014 by the Swedish Publicity Club and the recipient of Pennskaft Prize for 2016. She has been featured twice as one of the 100 most inﬂuential Arabs by Arabian Business magazine. Nasser holds B.A. in English Linguistics from Sana’a University and M.A. in Communication from the University of Gothenburg in Sweden.